Salesforce’s new Datorama Marketing Cloud Social Studio connector. Salesforce announced on Wednesday three new tools for marketers, all powered by Datorama. They mark the first new Datorama solutions since Salesforce acquired the marketing intelligence and analytics platform in July 2018. Datorama is now part of Salesforce Marketing Cloud. The Datorama Marketing Cloud connectors. Marketers will be able to use the Datorama Marketing Cloud connectors to import data from social, mobile and email platforms to review reporting, insights and analytics across marketing channels. “With the Marketing Cloud Social Studio connector, marketers can view how industry trends, brand health and competitive messaging on social media are impacting overall marketing performance within Datorama, alongside metrics from paid social media, paid media, web analytics, sales data and other marketing or advertising data,” wrote Salesforce’s SVP of product marketing Jon Suarez-Davis. In addition to the Social Studio connector (see image above), Salesforce is planning to release an email connector and mobile connector this summer. The Datorama Developer Portal. For marketers wanting to develop custom APIs to track and evaluate campaign data, the Datorama Developer Portal provides IT professionals and developers a set of tools that can be used to build out custom analytics solutions. The portal includes five different APIs and features, including a Platform API, Query API, Custom Data API Connectors (designed to build customized connectors similar to the social, email and mobile connectors), Python Retrival and Custom Visualization. The Datorama Activation Center. Salesforce’s Datorama Activation Center will roll out this Spring. Marketers will be able to monitor campaign analytics in real-time and optimize their campaigns. The tool will allow advertisers to pause under-performing campaigns, or set trigger alerts based on any piece of campaign data or KPI. The alerts can be programmed to go to a mobile device, sent via email or any other communication channel — letting marketers know when a campaign is doing well or may need to be tweaked. How marketers are using the new tools. Morten Højsgaard, managing director at iProspect Denmark, said his team has used the new developer portal tool to create a solution that tracks data around the agency’s client presentations. 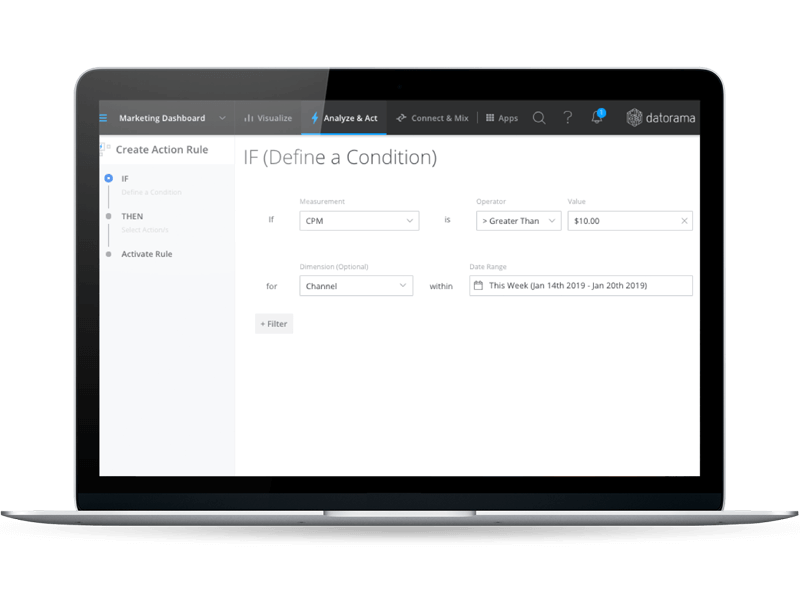 “AutoGraph [iProspect’s proprietary tool] automates campaign reporting for popular presentation tools, significantly decreasing manual operational reporting work. This allows us to spend more time on analyzing and optimizing campaign performance,” said Højsgaard. MBuy, another Salesforce client with early access to the new Datorama tools, said the activation center allowed them to manage many different types of data, prioritize campaigns and take actions on the ones that were working. “The marketing team is also able to get critical alerts when campaigns are running well and when we need to pivot,” says MBuy VP of data science and product Alan Lemery. Why you should care. Jon Suarez-Davis said Salesforce customers wanted tools that unified data and offered more flexible options to build out custom tools. With the integration of Datorama data, the company is aiming to give marketers more of what they need. “Our customers are telling us they’re not interested in silos, but, more so, solutions that brings them together. That’s why we’re so bullish and excited to be expanding Marketing Cloud analytics with new Datorama data integration, activation and developer tools,” said Suarez-Davis.